Beautifully designed and expertly crafted in 2008, 10623 Willowbrook Drive showcases the landmarks of a quality home. This light-filled resi spans just over 6,500 square feet of livable space and sits prominently on 0.47 acres in coveted Kentsdale Estates. Highlights of this spectacular 4BR/6BA home include generous entertaining spaces, private baths for every bedroom, and a finished walkout Lower Level. Decadent moldings, large windows, and soaring ceilings are just a few of the elegant features that complete this spectacular home. 10623 Willowbrook Drive is within the nationally ranked Churchill school district and is just minutes to major commuter routes. Offered at $1,789,000. WOW - Great new price! 10004 Weatherwood Ct is a beautifully renovated 5BR/3.5BA Colonial in a quiet cul-de-sac location in serene Country Place. This spacious lot offers privacy and convenience to both Wayside Elementary School and Country Glen Swim and Tennis Club. Complete with gorgeous finishes, an open floor plan, and stunning natural light, this lovely home is perfect for large-scale entertaining and comfortable family living.The Main Floor of the home features a large entry Foyer anchored by the formal Living and Dining Rooms. The welcoming Living Room has 3 large windows and a gas fireplace with a marble surround. The elegant Dining Room is accented with custom moldings and flows into the Kitchen for seamless entertaining. A wonderful feature of this home is the contemporary layout of the Gourmet Kitchen and Family Room. The Family Room has a wood-burning fireplace and is adjacent to the Kitchen, keeping everyone together including the Chef. 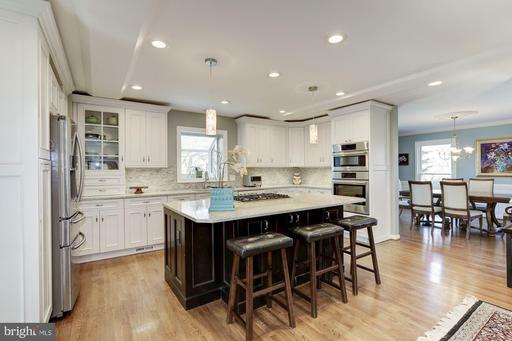 Complete with quartz countertops, custom cabinetry, stainless steel appliances, and a large center island with Breakfast Bar, this spectacular Kitchen is chic and inviting. At the rear of the home is a relaxing Morning Room/ Sunroom that showcases a vaulted ceiling with a ceiling fan and a ceramic tile floor. Perfect for casual dining or morning coffee, this tranquil space opens to the rear Deck. A private Office and Powder Room complete the Main Level.The Upper Level has 5 Bedrooms and 3 Full Baths including a delightful Master Bedroom with a spa-like En-Suite Bath. Highlighted with a skylight, an oversized shower with a frameless shower door, and separate vanities, this Bath is an enviable sanctuary. Four additional nicely-sized Bedrooms and 2 Hall Baths are on this Level. The Walkout Lower Level opens to a brick Patio and has a sunny Recreation Room as well as a large storage room. Country Place has long been known as one of the friendliest and most sought-after neighborhoods in Potomac. Famous for its community spirit, organized events and picturesque setting, the neighborhood is within walking distance of Wayside Elementary School and the popular Country Glen Swim Tennis Club. Ideally located, Country Place provides easy access to the shops of Potomac Village, Montgomery Mall, I-495, I-270, downtown DC, Virginia, all major airports, and nationally ranked Churchill High School. 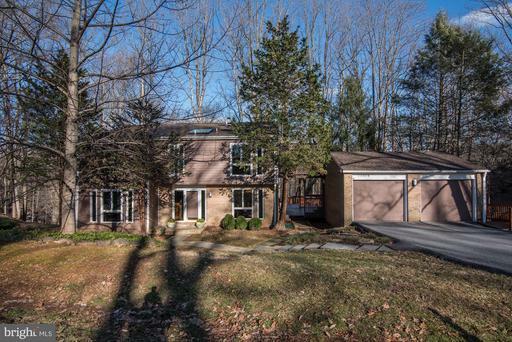 10509 Streamview Court is a splendid 5BR/3.5BA Contemporary set in an enviable close-in Potomac location! Located in a quiet cul-de-sac with a private path that leads directly into Bucks Branch Recreation Park! This home backs to serene parkland and is peacefully nestled on approximately 0.29 acres in East Gate of Potomac. Natural light floods the well-proportioned rooms and accents the soaring vaulted ceilings. Eye-catching panoramic windows add a tranquil feeling to this home and offer breathtaking views. This Contemporary home showcases fantastic outdoor space that is comprised of an expansive Rear Deck off of the Breakfast Room, an Upper Level Deck that is shared by 2 bedrooms, and a Lower Level Deck that is accessed from the Recreation Room. The formal Living and Dining Rooms anchor the Foyer, both with hardwood floors and large windows. The stunning Kitchen and Breakfast Room catches your eye with its spectacular greenhouse windows creating a zen natural environment. Complete with stainless steel appliances, lots of cabinet space, and a breakfast bar, the Kitchen/Breakfast Room is flooded with light and is a showpiece of this home. The adjacent Family Room features a vaulted ceiling with skylight and a wood stove. 4 Bedrooms and 2 Baths are on the Upper Level, including a delightful Master Suite including a Loft/Sitting Area that overlooks the Family Room below and an owners spa-like Bath. All of the Bedrooms are nicely sized and have hardwood floors. Bedrooms #3 and #4 share a sizeable Deck. A Recreation Room that walks out to the Lower Level Deck, a large Bedroom and a Full Bath are on the daylit Lower Level. An attached 2-Car Garage completes this spectacular home which delights through its connection to the elements of nature. East Gate of Potomac is a delightful park-like neighborhood ideally located in close-in Potomac. Shopping in Potomac Village, Cabin John Shopping Center and Montgomery Mall is just minutes away and multiple commuter routes including I-270, I-495 + major airports are easily accessible. 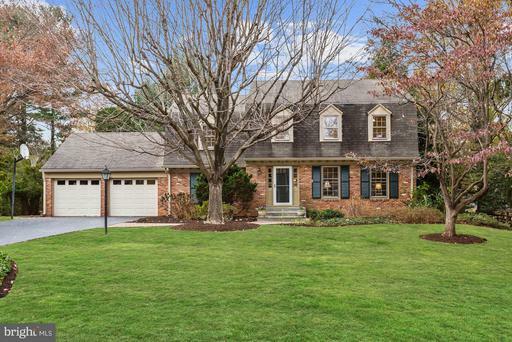 8521 Fox Run is a fresh and bright Colonial in Fox Hills offering 4 Bedrooms, 2 Full Baths, and 2 Half Baths. 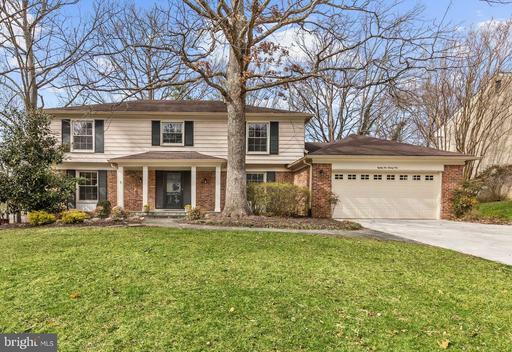 Gleaming oak hardwoods, large windows, and well-proportioned rooms highlight this beautiful home. Spacious and welcoming, this move-in ready residence has a wonderful Screened Porch, a Rear Deck, and an attached 2-Car Garage. The Living Room is just off of the Foyer and has three exposures of natural light. The Living Room flows into the Dining Room that has pretty chair rail molding, access to the Kitchen, and French doors to the fantastic Screened Porch. With a vaulted ceiling, ceiling fan, and room for seating and dining, this Screened Porch is unforgettable! The Kitchen and Breakfast Area are complete with tile floors, stainless steel appliances, and great cabinet space. The Family Room features a gas Fireplace with an over-sized brick mantle, beamed ceiling, and access to the rear Deck. A private Office with Built-ins, a Powder Room, and Laundry/Mudroom are also on this Level. 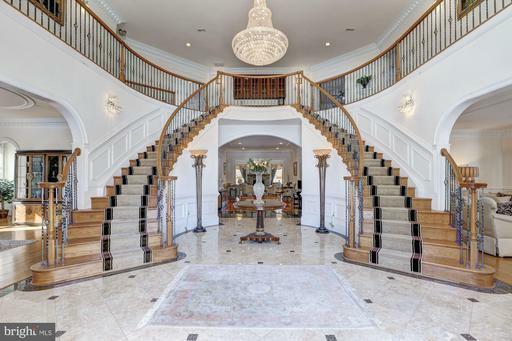 The full, finished walkout Lower Level is a "10"! The Recreation Room offers both gaming and media areas, along with a wet bar with wine chiller and beverage refrigerator. A Powder Room, Storage/Utility Room and additional unfinished space perfect for Guest Room or second Office complete the Lower Level. Bells Mill/Cabin John/Churchill Schools.